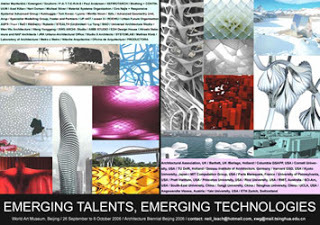 The new " Emerging Talents, Emerging Technologies" book is out, edited by Neil Leach and Xu Wei-Guo. The work of MATERIALECOLOGY is featured in pp. 21, 32-35. The exhibition placed a particular emphasis on new design and fabrication technologies.